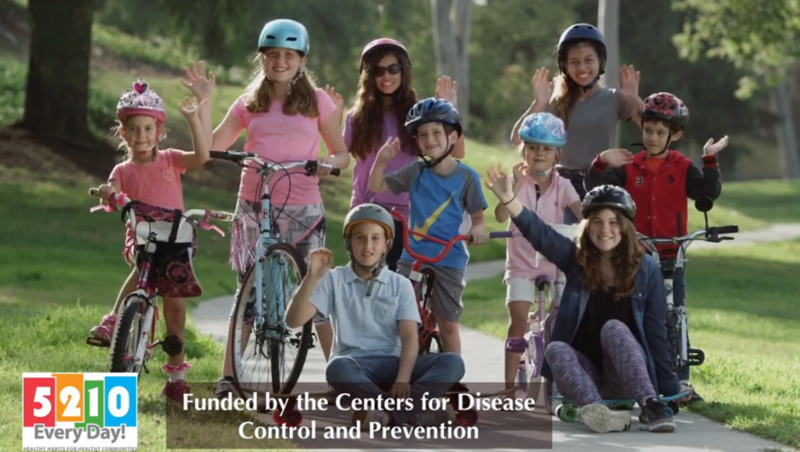 The Center for Community Health worked with Community Health Improvement Partners (CHIP) to create a commercial for the 5210 Healthy Campaign, produced by Lan Media Productions. 5210 is a campaign that encourages healthy eating and active living among children. Each number corresponds to an amount or length of time recommended for certain activities: eating 5 fruits and vegetables every day, 2 hours or less of recreational screen time, at least 1 hour of active play, and 0 sweetened beverages.